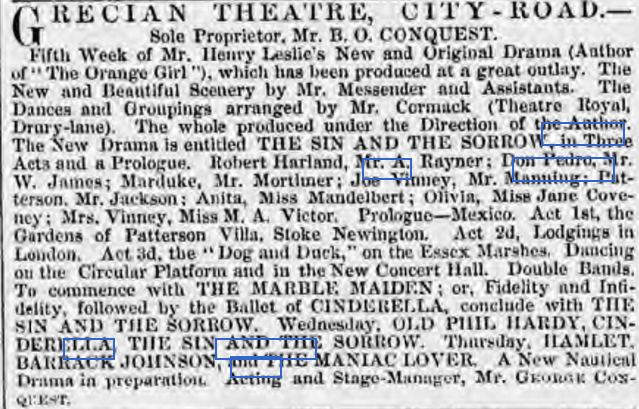 Charles Neil Mortimer played Marduke, the pirate, in "The Sin and the Sorrow", played at the Grecian Theatre, London, from 17 September, 1866. 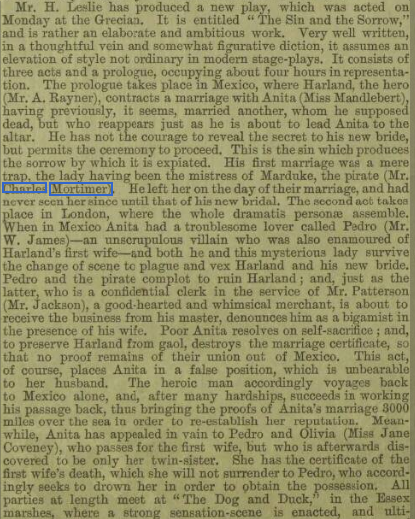 From The Era - Sunday 14 October 1866. From The Morning Advertiser - Saturday 22 September 1866.